I bet the front end will be as big as a panemera aswell. I don't think I will be trading in the 993 for that. The 991 was too big for me so the 992 must be the same size as an A8. Oh, and they've gone back to using the 996 door handles! I look forward to driving one but imagine it will be as soulless as the 991.2. I think the car looks amazing especially the rear! 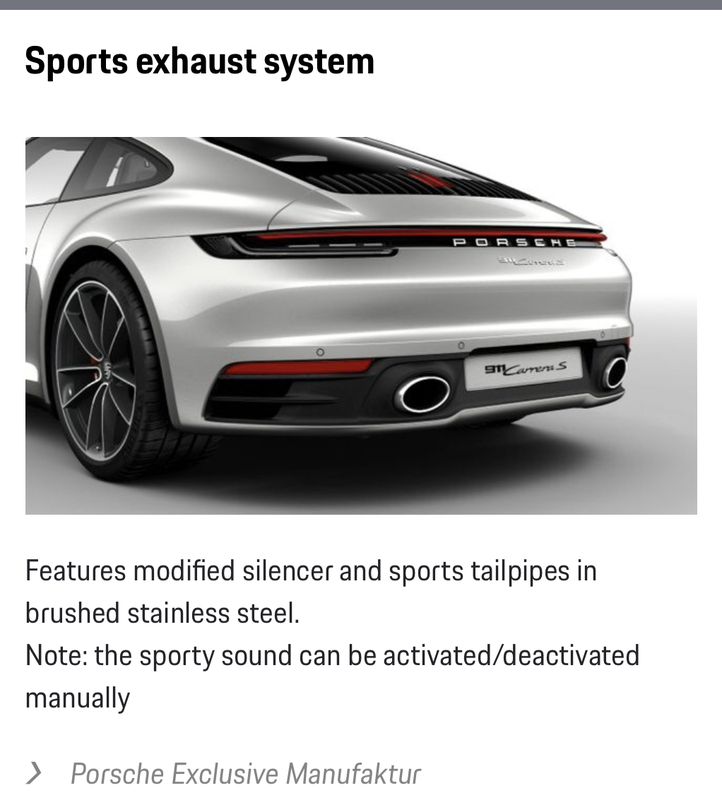 PCM 4.0 has been updated now in line with Panamera, Cayenne and Macan – bringing with it the full Porsche Connect package and other digital benefits outlined in the release. Has been mentioned that this also can act as an air brake but this has yet to be confirmed. Wet mode is standard fit, but Sport Chrono allows the driver to engage wet mode via the mode selector on the steering wheel which only comes with that option. Otherwise, it’s engaged by a dashboard switch. The changes brought by wet mode are primarily to the programming of the ABS and stability systems. Essentially more and earlier computer control, so specific sports chrono if you want to turn it off! 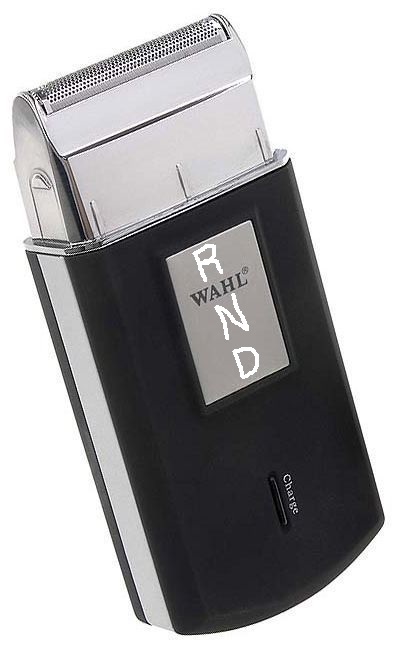 Is a design nod to Porsche heritage and signifies the new generation. So is it really PDK only? There is no option for Manual gearbox on the build website, or will they introduce it later? I'm tempted to have something new.. but must be manual gearbox. 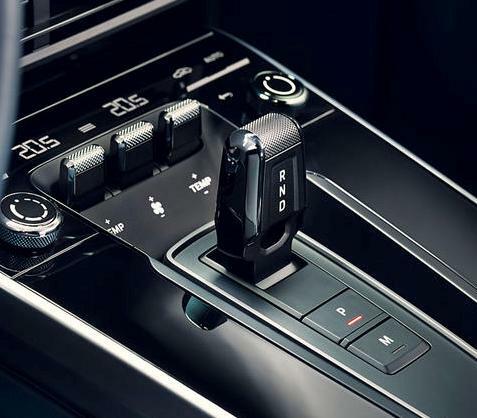 7 speed manual available next year. Even bigger, even heavier and with some even crazier numbers on the options list (it is no challenge to push the price over £125k). I don't dislike it per-se, but it certainly isn't for me. I like the way that you can have ceramics without yellow callipers, but the price premium is a true exercise in sarcasm. And how on Earth did the chrono pack get to almost £1650 for a stopwatch, a steering wheel switch and some software? I’m a bit in-different to the overall design, it doesn’t make me go “wow” as the 991 did. But it may look much better when seen in real life. To me the back in particular is too fussy and stylised i.e. the light bar. The sports exhaust ‘exits’ are fake which is pretty inexcusable - the sort of thing you’re used to seeing on diesel rep-mobiles. 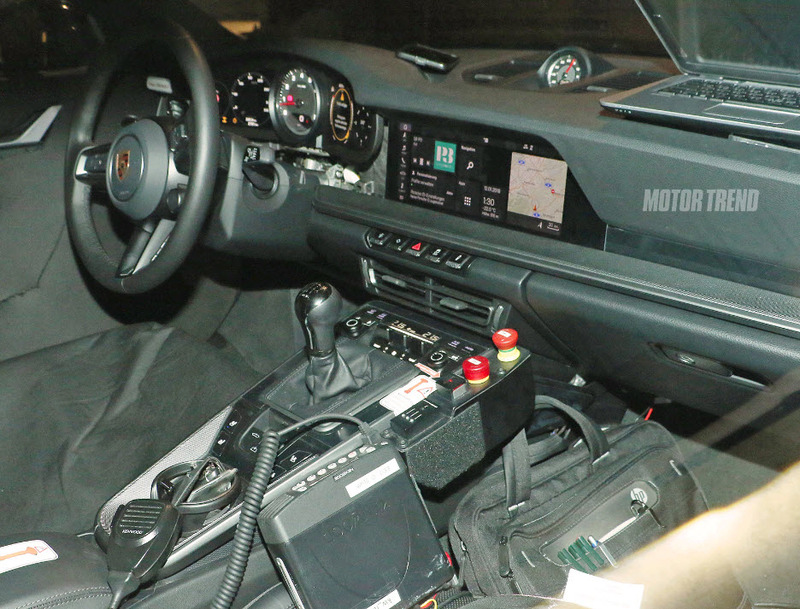 I suspect they’ve gone for the odd looking, but smaller PDK selector as the old one obscured quite a few buttons (it does in the manual anyway). If memory serves me right the 991 was lighter than the equivalent 997 so I guess the 992 is back to 997 weight, especially bearing in mind that all models are wide bodied 4s. I don’t think that’s too bad given the (presumably) improved crash structure and compulsory emmisions paraphanalia/turbo gubbins. All the clips that showed the car being driven had the car drowned out by the backing music, considering the reaction to the 718 I hope it sounds like a Porsche should despite the blowers. Mate I saw a 991.2 GTS thus morning that had plenty of engine noise, with plenty of pops and bangs on over run. The only real difference was that you could hear the turbo's spoolling up. I can't understand why a Turbo can't sound like that. With a 750mL bottle in the cup holder how does manual shifter works?